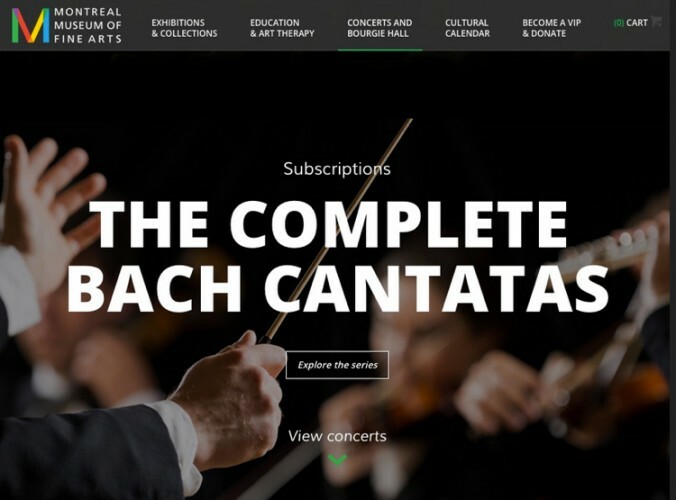 The Montreal Museum of Fine Arts’ website provides details of the Bach cantata project. Isolde Lagacé, the brains behind the cantata series. Now in its third season, Lagacé’s project consists of 64 concerts — eight per season — each containing three (occasionally two or four) works per concert. With rare exceptions, all concerts are given on Sunday afternoons, and each includes a cantata relevant to the day of the liturgical calendar on which it was originally heard. Lagacé oversees a staff of six, all young, dedicated, enthusiastic men and women — one each for marketing, programming, box office, communications, administration, and production. Program books are handsomely produced on heavy paper and include excellent program notes by the scholar Gilles Cantagrel. Every concert is recorded in both audio and video. “I want to be able to prove when it’s over that I really did this,” Lagacé quipped. Full or nearly full houses — the hall seats about 450 — at every performance attest to the success of Lagacé’s dream. About half the attendees are subscribers, a number that grows with each season. Recognized specialists give pre-concert talks. Following in the tradition of Bach’s Leipzig performances, the audience is invited to join in for the final chorale of each cantata. Those wishing to do so are sent the text and music in advance and attend a short rehearsal just prior to the concert. The series was launched with a grand flourish in Sept. 2014, when the Montreal Symphony and music director Kent Nagano presented the opening concert, lending high profile and an aura of credibility to the project. At the end of Cantata 147, the audience joined in for the famous final chorale, “Jesu, Joy of Man’s Desiring.” Nagano described the experience as one of the most moving of his life. Since then, Lagacé has brought in many of Quebec’s finest ensembles and soloists: Les Violons du Roy, Arion Baroque Orchestra, I Musici de Montréal, Ensemble Caprice, Cappella Antica McGill, Les Idées heureuses, Studio de musique ancienne de Montréal, Clavecin en concert, and singers like soprano Aline Kutan, mezzo-soprano Julie Boulianne, countertenor Daniel Taylor, and baritone William Sharp. Sustainability was uppermost in Lagacé’s mind from the outset. “When I started working on this project,” she said, “I wanted to be sure it would go to the end and not have to quit halfway through. For this you need a special hall, a special presenter, an ongoing source of musicians, and a dedicated, curious audience pool. There are only half a dozen or so really ‘famous’ cantatas. But every one is a masterpiece, different and/or special in some way. They are all worth investigating. 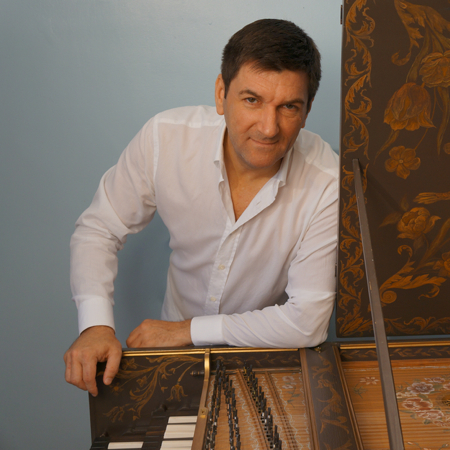 Harpsichordist Luc Beausejour, music director of Clavecin en concert. 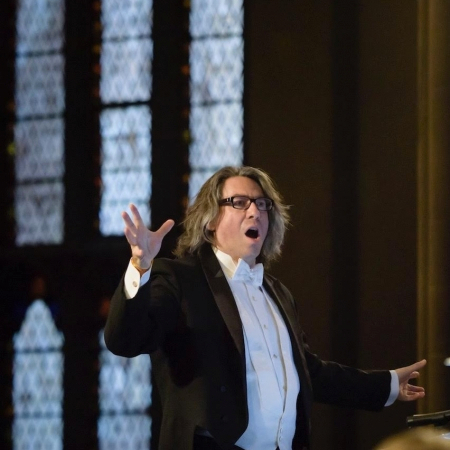 Julian Wachner brought his choir from New York’s Trinity Wall Street. Bourgie Hall was reconfigured from the nave of one of Montreal’s venerable downtown churches, the historic Erskine and American Church, which closed in 2004. In 2008, the city’s main art museum, which sits adjacent to the church, bought the building and reconstructed it into a gem of a concert hall. 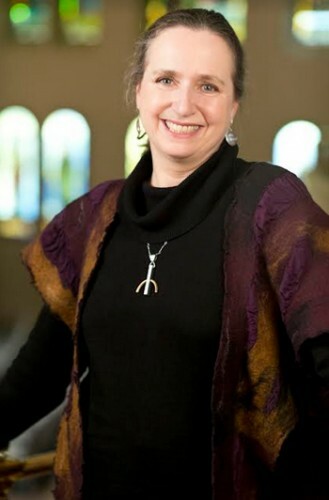 In her formative years, Lagacé had attended many services at the church, where her mother served as organist and where George Little directed Sunday performances of Bach cantatas. 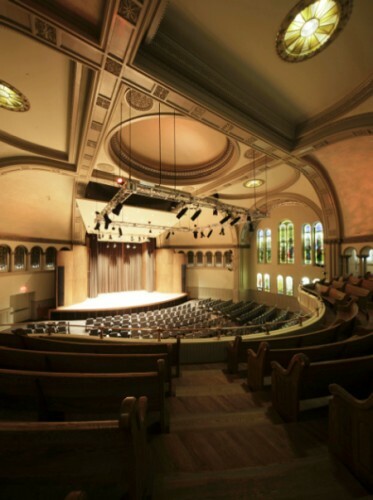 Within the churchly context of Bach’s cantatas, Bourgie Hall is a natural, even boasting of twenty original Tiffany stained-glass windows that earned the building a National Historical Site designation from the Department of Canadian Heritage. In addition, the hall can boast that rare combination of intimacy and spaciousness, and excellent acoustics from every seat. Arte Musica, the foundation behind the hall, presents between ninety and one hundred concerts per season, all overseen by the irrepressible Lagacé. I attended the opening concert of the third season on Sept. 25 (eighteenth Sunday after Trinity this year) to hear Cantatas 45 (Es ist gesagt, Mensch, was gut is), 96 (Herr Christ, der ein’ge Gottessohn) and 113 (Herr Jesu Christ, du höchstes gut). One of the cornerstones of Montreal’s early-music scene, the Arion Baroque Orchestra, was on stage, led by guest conductor Alexander Weimannn. Some scrappy violin playing detracted from the overall excellence of the band, but this was more than offset by sublime contributions from flutist Claire Guimond, sopranino recorder player Alexa Raine-Wright, and oboists Matthew Jennejohn and Daniel Lanthier. The vocal soloists — soprano Hélène Brunet, mezzo-soprano Laura Pudwell, tenor Philippe Gagné, baritone Jesse Blumberg — also served as the chorus, which left one aching for the full sonority demanded from the sumptuously contrapuntal texture of the opening chorus to Cantata 96. Lagacé’s grand musical journey still has a long way to go — more than five years — but the final concert on April 24, 2022, is sure to mark a historic date in the history of music in Montreal — and North America. Stay abreast of events here. Formerly a horn player in the Montreal Symphony, Robert Markow writes program notes for that orchestra and many others in Canada, the U.S., and Asia. He writes regularly for such classical music journals as American Record Guide, Fanfare, Symphony, Strings, The Strad, Opera, Opera News, and Opera Canada.